I would like to extend a welcome and a thank you for accepting my wife Jes and I into your oral healthcare lives! 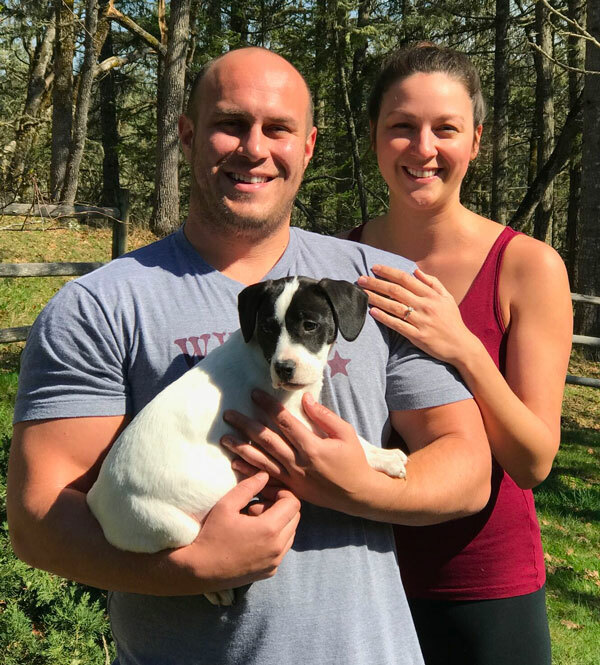 We are very thankful to be taking over that care from John and excited to move forward with similar compassion, treatment options, and all around great dentistry. Other than a few modern updates, no big changes have been made. That includes the same hours Monday through Wednesday, with the hope of adding an extra day in the near future, as well as the same fee schedule that John offered. You will be recognizing similar faces as all of the existing staff has stayed on, with the addition of Alma, our terrific dental assistant. Feel free to stop by and say hi even if you don’t have a scheduled appointment and don’t hesitate to give Lori a call if you have any questions. We look forward to meeting you in person and instilling confidence that your dental needs are in great hands here at Tillman Family Dental. Dr Andrew (Drew) Tillman and wife Jesika. The first thing you will notice when walking into our office is how much you’ll feel at ease and at home. Our practice is situated at 2015 Willamette St, Eugene, OR 97405 in a beautiful 1939 historic building. Born and raised a Eugene resident and a second generation dentist, it is important to me to carry on my heritage. 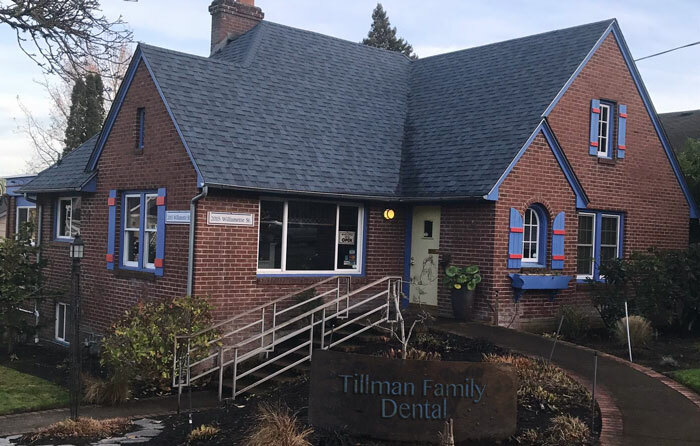 I love everything about our Lane County heritage, and I feel honored to assist our neighbors by providing dental services. Few people realize that in the sixties and early seventies, dentists could not advertise. 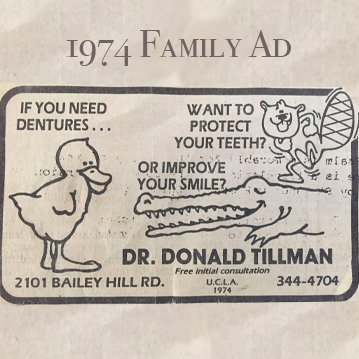 When the law was finally changed, my dad was one of the first dentists to place an ad in the local newspaper.